KDE is a great user interface. But it can be better. How? By interpreting the users' data! Strigi, the fastest and smallest desktop search engine, does more than searching: you can use its power for writing clever GUIs too. Modern humans are using more and more data every day. Keeping data organized is becoming insufficient, so finding and filtering documents have become key tasks in modern operating systems. The traditional unix tools find, grep and locate do no longer suffice for a number of reasons: The amounts of data have grown more than data access speeds, many document formats are too complex to handle by simple tools and relations between different types of data are becoming more important for a convenient user experience. Strigi introduces a new way of looking at metadata and file formats that enables the creation of very efficient tools for improving the way users handle their data. It does so by using simple C++ code with very few dependencies. In this presentation, I will introduce the API to Strigi and explore fascinating ways in which the indices built by Strigi can be used to write clever GUIs. Jos van den Oever studied molecular sciences and currently works in bioinformatics. He has used his long experience as a C++ programmer and KDE user to improve the search engine Kat. After development of this project stopped, he decided to start a more ambitious project then the previous small programs he has written for KDE. He hopes his ideas and code will be picked up by many projects and tries to make it as fast, small and modular as possible for this purpose. 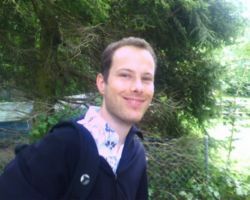 In addition, he uses his experience in semantic technologies to collaborate in the kde-nepomuk project.